As we approach the end of 2018, we recommend property managers and owners consider scheduling a bulky pickup at their multifamily property to help residents get rid of unwanted items and begin the New Year with a clean slate and a clean property! Most cities offer residents and multifamily properties some type of free curbside bulky collection service. If you manage a multifamily property, we recommend checking to find out what your city offers. Some cities offer more than 1 free bulky pickup per year! Please make sure to check on the specific instructions for bulky pickup collection service in your city. A Google search such as “bulky pickup + city” will usually lead you directly to the local waste company’s website with specific instructions for bulky pickups in your city. What is bulky pickup collection service? A bulky pickup is when large items such as mattresses, appliances, furniture and other sizeable items are collected from your property by the local waste company. Most cities will offer at least one free collection per year. It is a great way for residents to dispose of large, unwanted items that can’t easily be thrown in the trash. If it’s free, why aren’t more people using this service? Coordinating a bulky pick-up can be time-consuming: scheduling the collection, communicating with tenants, meeting with a waste company for a site visit, organizing the setout logistics, this free service can be a bit overwhelming. However, the extra time spent setting up a bulky pickup may be well worth the effort. You will help your tenants get rid of unwanted items that may be cluttering the property including storage areas and trash enclosures. Bulky pickups can also help you keep waste volume down at the property and help avoid expensive overage/overflow fees that are often tacked onto the garbage bill when trash containers are overflowing. As anyone who pays the garbage bill well knows, even just a few overflow penalties a month can lead to hundreds of dollars in extra fees on the garbage bill. What types of items can be included in a bulky pickup? What types of items are NOT accepted in bulky pickup? How much bulky items can be picked up? 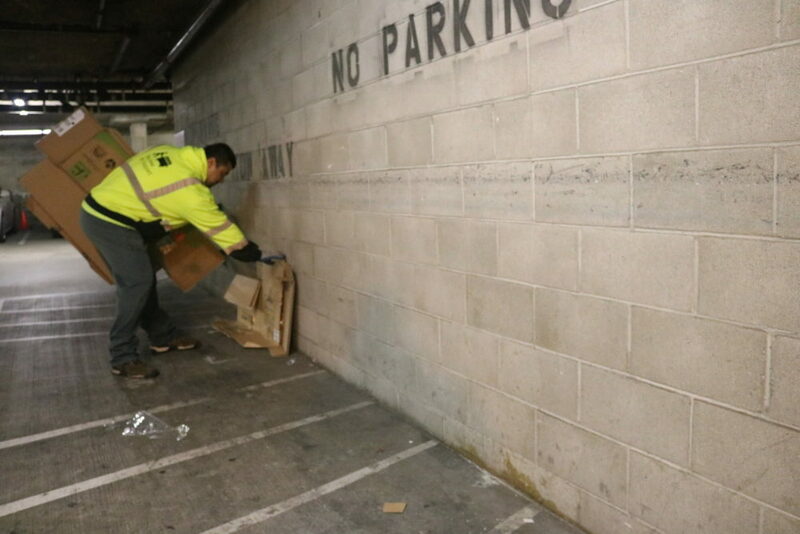 In partnership with the City of Oakland, Bay Area Bin Support clients can contact us to coordinate your bulky pickup and assist with onsite support and coordination.